The Goethe-Institut in Dokki will host a panel discussion with German comic artist Isabel Kreitz and Egyptian comic artist Magdy El-Shafee on 4 December. The event is part of 'Egypt Comix Week,' which is being held from 3 to 8 December. 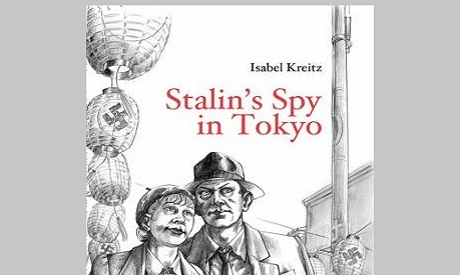 The discussion will include the launch of the Arabic translation of the illustrated graphic novel 'Stalin's Spy in Tokyo' by Kreitz, published by Safsafa Publishing House. Kreitz was born in Hamburg in 1967. She has authored many books including 'A Case for Cap and Company: Dog-Napping in Roseborough' (2001), and 'Stalin's Spy in Tokyo' (2012).